Filled with twists and turns! 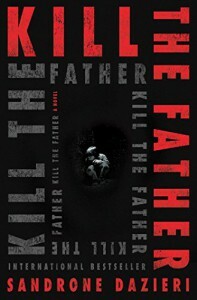 This was one of the better thriller/mystery novels I have read so far this year. Wow. It was well written, filled with lots of twists and turns and the way everything is tied together is fantastic and makes the writing flow to keep you engaged and the pages turning. The characters speak for themselves. They’re heavily flawed and are dealing with horrible pasts. I like both of them and Dante and Colomba do make a great team. Dante certainly has his quirks and his mannerisms due to his being a previous kidnapping victim. It feels like they certainly complement each other and they have an amazing chemistry when working together. They’re both very strong characters, no doubt. The plot was really good and what I really enjoyed reading the most was the way everything was seamless and how it was put together. Everything that happened to Colomba and Dante was related and well explained. The explanation as to the origins of Colomba’s situation was very well done! I enjoyed that aspect of the plot. The only thing is, the book is rather long and the plot a bit on the slow side but it’s nevertheless a great read and going through the twists and turns was completely worth it. And yes, there’s a cliffhanger ending. I can’t wait to read the second one.